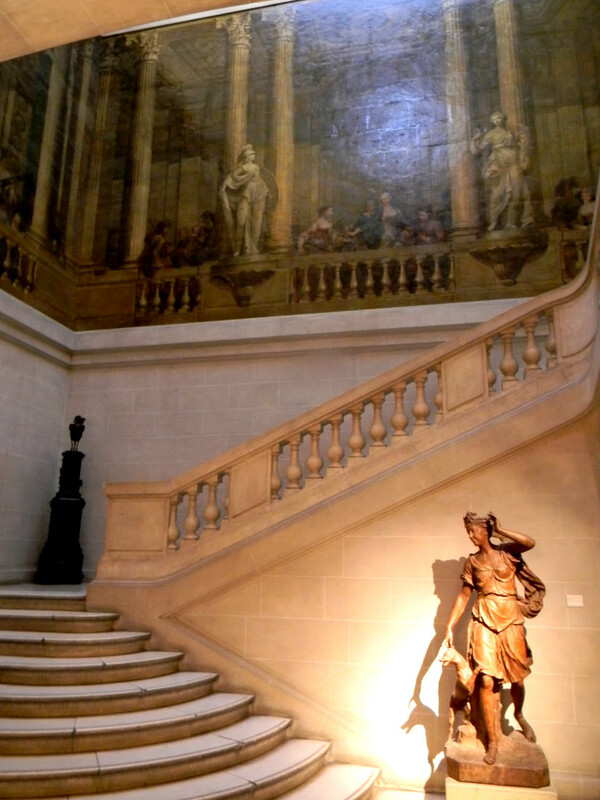 The Musee Carnavalet is one of Paris’s most interesting and educational museums, chronicling the history of the City of Light from its founding on the Ile de la Cite in 250 B.C. to today’s 21st century center of business, finance, art and culture. The collection is massive, and only a fraction is on display in the museum’s nearly 100 rooms. All told, the museum houses 2,600 paintings, 20,000 drawings, 300,000 engravings, 150,000 photos, 2,000 sculptures, 800 pieces of furniture and countless other items of historical significance. Specific periods well represented in the museum include: Lutecia (the period when Paris was ruled by Rome), the Medieval city, the Renaissance, Protestant and Catholic wars of religion, the French Revolution, Napoleon’s Paris, and Paris of the 19th, 20th and 21st centuries. Key pieces on display include: Jewelry and furniture taken from Versailles during the French Revolution, a recreation of Marcel Proust’s bedroom, Benazech’s painting “Execution of Louis XVI,” a painting of Marie Antoinette by Kuchaski, many of Madade Sevigny’s letters, and the final letter ever written by Robespierre. This entry was posted in Art, History of Paris, Marais, Museums and tagged art, history of Paris, mansions of the Marais, Marais, Musee Carnavalet, museums, Right Bank by Bob Adams. Bookmark the permalink.